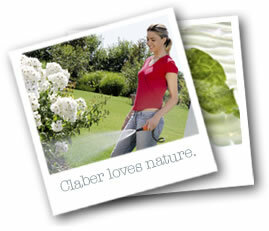 Claber promotes love for nature and an environmentally responsible use of water. The company has always sought to raise consumer awareness on these issues, through targeted communication initiatives. Claber website www.claber.com is an invaluable source of information on how to irrigate intelligently, using less water while ensuring plants stay healthy and flourish. Similarly, Claber blog hosts many articles on matters of ecology, and offers advice on saving a resource of vital importance to the whole planet: water.